It was interesting to post my memories of Jeanne Beker's interview from two years ago yesterday and then hear her speak at the The Bay last night where she launched the Edit collection. I came expecting her to talk about the clothing line, but that was such a brief part of the evening. During a Q & A with the audience she touched on many subjects. Some of the same words of advice were there that I mentioned before (see yesterday's post). Many more were added to my list and I touch on them below. I again walked away feeling empowered and realized, as much as I hate the term because it makes me feel like a groupie, I have become a fan. She is about so much more than fashion. One of her first surprising responses was to a curvy customer who asked, "Can a plus size person wear leggings?" Typical Beker, her answer was the unexpected - "Absolutely!" She went on to explain that women should have a critical eye when looking in the mirror, but in the end they should wear what makes them feel beautiful and empowered no matter what anyone says. That's the joy of fashion. We get to make a personal statement about who we are. When asked to name what she thought were the five "must-haves" for fall she jokingly replied, "Anything from my collection." Then after a short pause went on to say how she really felt. "You don't 'MUST HAVE' anything." It's all about personal style and what makes you feel good. She commented on the fact she is often assumed to think all women need to be thin and said nothing could be further from the truth. She is about celebrating and empowering women as they are. Another against the grain fashion statement was that she felt trends were on their way out. Marketing loves trends to boost sales, but fashion is changing to the degree that the concept is quickly becoming passe. There are some serious fashionistas that enjoy wearing the latest trends, but most of the women I know wear what they love - what makes them feel amazing. I had an interview with a 90 year old former designer the other day that hinted at the same thing. She felt women had so many options now that it must be tough to be a designer and know what to put out there. In talking with many designers I think this is a serious concern. There are few limits, and trying to guess what will sell in such a varied market is challenging. The last was not really related to fashion, but to interviewing. It's something I personally have tried to explain to people many times when asked why I am in fashion. To hear it come from someone who has interviewed for over 25 years was such a validation for me. Interviewing for her is about the amazing artists that she has the honour of talking with. Their stories, their creativity, their lives - it is a privilege. It is how I feel every time I am allowed to share an artist's journey. More than once I've had goosebumps. We have laughed and cried and I have gone home with many life lessons to incorporate into my own. I am passionate about hearing and telling people's unique stories - the fashion industry is just one I am allowed to do this in. So while I do love clothing, for me writing is about the honour of being a part of that interview. 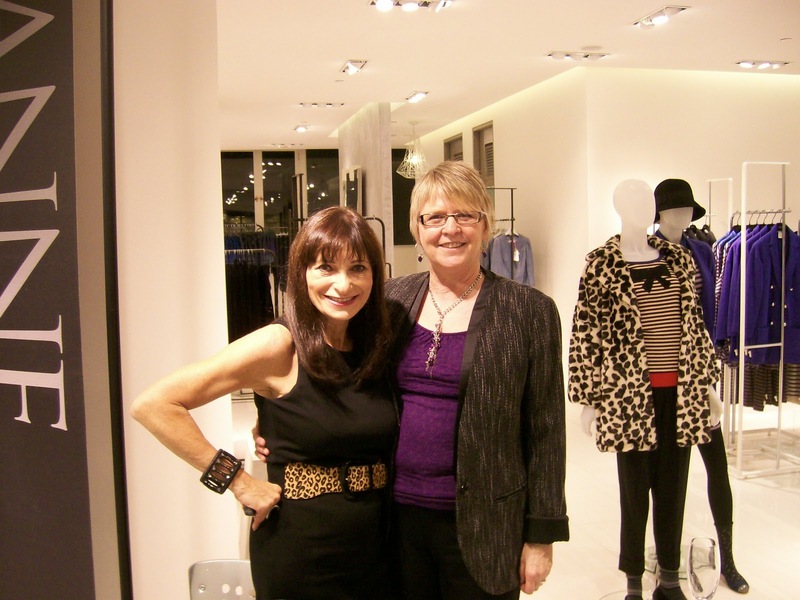 There is a reason Jeanne Beker has achieved such a high level of success. She is open, honest, brave (saying some of those things in The Bay was just one example), very real and shares openly with those who come to hear her speak. Kudos to a woman who is a Canadian icon - well deservedly! I personally want to say thank-you for the effect you have had on my life. If you missed it, please check out my previous article - Jeanne Beker Live.